Whether you are looking for advice on your business or personal affairs, Dave will explore your plans and future aspirations. Only after gaining a thorough understanding of your needs, will he provide you unbiased advice and a bespoke suite of recommendations. Sometimes the answer is simple, often it can be more complicated or it may simply be offering reassurance that everything is on track. We like dealing with Dave. He’s done more than financial advising in his career which means that the client isn’t bamboozled by “financial speak” and they are instantly at ease. To be honest we have given Dave some non-standard work as far as IFAs are typically concerned and he has dealt with it all excellently. This has ranged from business protection and the allowability of company pension contributions for a non UK tax resident to the full utilisation of personal pension contributions and how this reduced the individual’s Capital gains tax liability. The main reason behind this success has been the fact that we both sit down with the client all together so there is joined up thinking and we are all singing from the same hymn sheet. As a result we would have no hesitation in recommending clients to Dave. Working in conjunction with Welch & Ellis this association can benefit our clients by providing a seamless service, covering both your personal and business affairs and future investment strategies. Some risks are easy to identify such as potential damage to your stock or premises. The hidden risks, which may lead to loss of profit, or have a serious impact on the future viability of your business, need to be carefully considered. Business partnerships need to be confident that they can continue to operate in the event of the prolonged or permanent absence of a business partner. Shareholders in a business, especially a small to medium sized firm, face similar concerns. 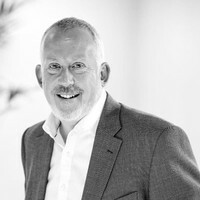 Dave will work with businesses to identify the associated business risks and suggest measures to reduce the problems caused by the loss of key staff, partners or directors. Personal Reviews are designed to bring peace of mind by providing the security of a financial review at your request. The aim is to ensure that your investments, pensions and saving continue to work for you and develop to meet your needs as your circumstances also develop and change. Business reviews focus on existing pension planning, including auto-enrolment, as well as checking that any existing business protection plans remain suitable. The review will also take into account any future plans. It is vital that you have a consistent income during your retirement. In addition to reviewing your existing plans, you will benefit from having independent investment advice based on your specific circumstances and help with understanding the pension choices available to you, including stakeholder pensions and other investments vehicles which will provide you with a retirement income. There is a vast range of investment and savings options available. Dave can help clients explore how they can make the most of their savings and investments in ways that clients can understand and be comfortable with.